The 2017 Honda Accord Coupe is available with either a 185hp 2.4-liter four-cylinder or 278hp 3.5-liter V6 engine. A 6-speed manual is available on both while a 6-speed CVT is an option for the smaller engine and the V6 can be had with a traditional 6-speed automatic transmission instead. Both offer great handling, decent ride comfort and class-leading acceleration in the case of the 3.5-liter V6. Basic specification levels are good although you may want to step up a level to the EX trim which offers a power driver’s seat, power sunroof and 7-inch touchscreen as standard. Available safety systems include adaptive cruise control and collision and road departure mitigation systems. In all, a very competent package despite its advancing years. 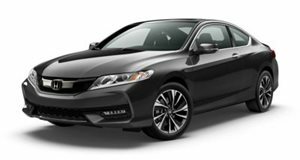 The long-lived Honda Accord Coupe received some major updates a year ago and this accomplished mid-sized coupe carries over into 2017 largely unchanged. A range of engines and trim levels are available and, as it will be discontinued next year, this is your last chance to bag a new one. Quality levels are high enough to challenge some luxury coupes and the interior has aged well, the buttons and various switchgear all feel like solid items and the front seats are both comfortable and supportive. The coupe bodyshell introduces some obvious compromises over its sedan stablemate when it comes to ease of access to the rear seats but once in there is enough head and legroom for most. They can be folded down too to expand the already generous cargo area. The coupe is a refined and comfortable car, it rides smoothly over bumps and very little noise makes its way into the cabin. An added bonus is the sporty handling feel, base models lack the power to make the most of the biddable chassis but when equipped with the powerful V6, the Accord coupe is one of the most enjoyable drives in this segment. The base engine is a 2.4-liter inline-four which produces 185 horsepower and 181 lb-ft of torque, a 3.5-liter V6 is also available and this unit makes a strong 278 hp and 251 lb-ft. Both are front-wheel drive and depending on the trim selected either a 6-speed manual or 6-speed automatic transmission can be specified. In the case of the 2.4-liter models the automatic is a continuously variable (CVT) unit. The base 2.4-liter posts good acceleration times and the CVT transmission works well with this engine. When so equipped it also posts an overall consumption figure of 29mpg. 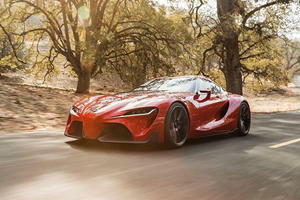 The 3.5-liter V6 adds a substantial performance boost, the availability of the 6-speed manual is rare in this class and adds some more driver involvement. The power delivery is linear and that V6 growl is a refreshing change from the generally characterless turbocharged 4-cylinder power units that populate this class. Economy is not particularly impressive and overall consumption drops to 21mpg with the V6, the 6-speed automatic is a bit more economical at 24mpg. There are five trim levels to choose from, the base LX-S, EX and EX-L are all fitted with the 185 hp 4-cylinder engine while the EX-L V6 and Touring trim come equipped with the 278hp V6 engine. The EX-L and Touring are automatic only but the other trims can be had with either transmission option. The base LX-S comes reasonably well-equipped and some notable standard features include daytime running lights, 17-inch alloys, dual-zone climate control, cruise control, tilt and telescopic steering column, 8-inch infotainment system, with Bluetooth compatibility and a 6-speaker audio system. EX Trim adds a number of desirable features such as a 7-speaker audio system, smartphone compatibility, 10-way power driver’s seat, push button start, LED daytime running lights, 7-inch touchscreen interface, power sunroof, 18-inch alloys and heated side mirrors. Honda LaneWatch which comprises of a camera that relays information to the touchscreen when signaling to change lanes is standard on all models bar the base LX-S.
EX-L Trim adds leather seats with memory settings for the driver and can also be had with the 3.5-liter V6 in the EX-L V6 Trim. Navigation is available on both as a standalone option. The top Touring Trim adds 19-inch wheels surround parking sensors, LED headlights, navigation and heated rear seats. Safety gets a big boost with the addition of the Honda Sensing Package, which offers lane keep assist, adaptive cruise control and collision and road departure mitigation systems. This system is also available on all automatic models. 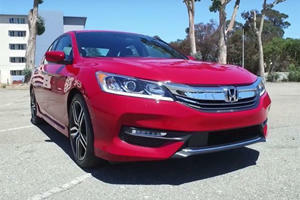 The Honda Accord Coupe has competed ably against the best in its class for years, and like any good competitor it bows out while still at the top. The spacious interior, comfortable ride quality and engaging handling make it a top choice for those wanting a dash of style over the similarly capable sedan derivatives. In manual V6 form it still manages to offer a more compelling package to keen drivers than just about anything else in its class.